Ever since I was 13 I've had this dream: to live and study in the US! 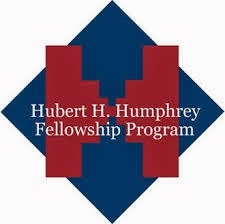 And last Thursday (on Happiness Day) I was notified that my application for the Hubert H. Humphrey Fellowshipwas accepted! This means that I'll be living and studying in the US for ten months, starting from August 2014! Every year about 200 fellowships are awarded to working professionals from across the world. They are selected based on their potential for leadership and their commitment to public service. I'm the first high school teacher in Croatia who has been awarded this prestigious honor. I still think I'm dreaming!